Student model designded by our IBI technicians, Silver plated, offset G, low C, Split E mechanism. Includes rod & case. Good student model with easy playability. Silver plated, offset G, low C. Includes rod & case. Good student model with a slightly warmer tone. Silver plated, offset G, low C. Includes rod & case. Intermediate model, hand-cut solid Sterling silver headjoint, silver plated body, open holes, french pointed key arms, low B. Includes rod and french style case w/cover. Intermediate model, Powell solid sterling silver headjoint, silver plated body, open holes, french pointed key arms, low B, split E mechanism. Includes rod and french style case w/cover. Student model designed by our IBI technicians, polished hard rubber body, silver plated keys for longevity, two barrels. Includes hard case and mouthpiece. Good student model, ABS plastic body w/ matte finish, undercut tone holes, nickel plated keys. Includes hard case and mouthpiece. Top quality student model, resonite body, nickel plated keys, poly cylindrical bore. Includes hard case and mouthpiece. Intermediate model, grenadilla wood body, nickel plated keys, undercut toneholes. Includes case and mouthpiece. Best selling intermediate model, grenadilla wood body, nickel plated keys, poly cylindrical bore, undercut toneholes, made in Germany. Includes case and mouthpiece. High-end intermediate model, made in Germany & France, unstained African Black Wood, silver plated keys, leather pads, no bell ring, thumb hook with strap ring, 65mm barrel. Professional model, made in France, stained African Black Wood, silver plated keys, leather pads, adjustable thumb rest, bell with flat bottom, pointed needle springs. Professional model, grenadilla wood body, poly cylindrical bore, undercut toneholes, made in France. Includes leather-bound case, swab and cork grease. Best selling intermediate model, african blackwood body with Luracast bore, full conservatory, 3 octave keys, semi-automatic, left hand F lever, C# trill, double D trill, low B/C# trill, double G# and Eb. Good student model designed by our IBI technicians, gold brass lacquer finish, nickel plated keys, high F# key. Includes hard case & mouthpiece. 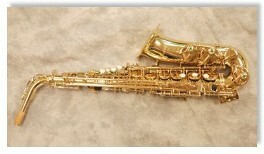 Good student model, yellow brass body and keys, lacquer finish, high F# key. Includes case, swab, strap and cork grease. Intermediate model, brass body and keys, lacquer finish, high F# key, ribbed construction for precision durability and warmth of tone. Includes molded plastic case and mouthpiece. Upgraded intermediate model designed by our IBI technicians, brass body & keys, gold lacquer finish, high F# key, double arm bell keys, includes hard case & mouthpiece. Good student model designed by our IBI technicians, gold brass lacquer finish, brass lacquered keys, high F# key. Includes hard case & mouthpiece. Upgraded intermediate model designed by our IBI technicians, brass body and keys, gold lacquer finish, high F# key, double arm bell keys. Includes hard case and mouthpiece. We are a Conn-Selmer authorized dealer. We offer discounted prices on Selmer (Paris) professional saxophones (special order).